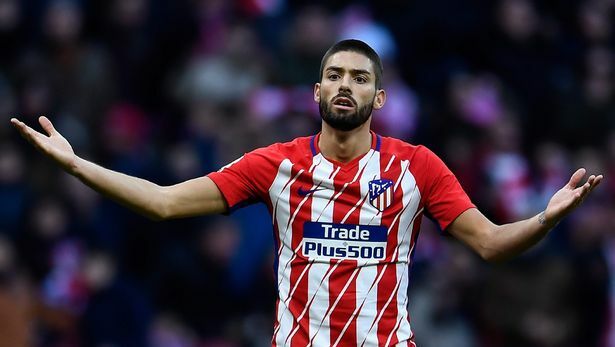 Manchester United are keen on nabbing Belgian winger Yannick Carrasco from Chinese club Dalian Yifang this month, according to the player’s wife. The 25-year-old only moved to the Far East from Atletico Madrid last year, but is believed to be open to a move back to Europe. Arsenal had been the favourites to lure Carrasco to the Premier League, but the Gunners have no money to sign him on a permanent deal. And Carrasco’s partner – former Miss Belgium winner Noemie Happart – has revealed that the Red Devils are desperate to bring him to Old Trafford. Speaking to RTBF, she said: “There are lots of clubs looking at him. Lots of clubs have been in touch with him. Lots of clubs are interested. Before concluding: “Yannick is enjoying China but it’s a very difficult culture. It’s far away from out family and friends. “The club have looked after us when but we learned that certain clubs were interested in Yannick, that interested us too.